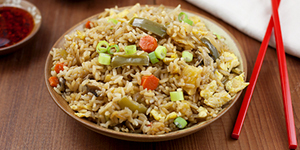 This summer, skip the burgers, hot dogs and other common grilling foods. Take your backyard barbecue from ordinary to extraordinary with these unique things to grill. Put away the hamburgers and other red meat, and turn to seafood this summer instead. 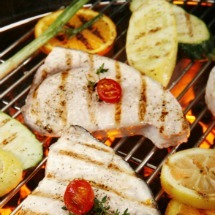 On the barbecue, swordfish, salmon and other sturdy fish can be placed right on the grill. Speaking of seafood, oysters and clams are perfect for grilling this summer. They are super easy to make. 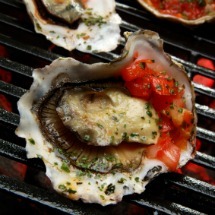 You simply pop them on the grill and when the shells begin to open, they are ready! 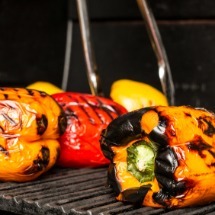 Both sweet and spicy peppers can be cooked directly on the grill. You can stuff them first or cook them on their own. Grill whole peppers on all sides until they are charred, but not burned. 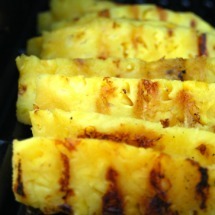 Whether on skewers or directly on the grill, pineapples are one of those fruits that taste even better when they are grilled. You don't need to cook pineapple very long -- just until it's lightly charred and tender (not mushy). Corn on the cob is sweet and delicious -- the perfect side order to your summertime entrées. 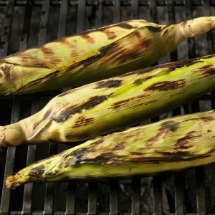 Soak your corn cobs in water (with the husks on) for 30 minutes. Place them on the grill over low heat for 25-30 minutes, turning just once. Let them cool just a bit, then pull back the husks to add some butter and salt. Your kids love pizza but that doesn't mean you need to always call for delivery. 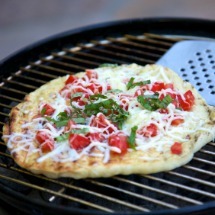 Make homemade pizza and cook it outdoors on your regular grill. You first need to grill each side of the crust, brushing it with olive oil. Then, add your favorite toppings and your perfect pizza will be done in just a few minutes. 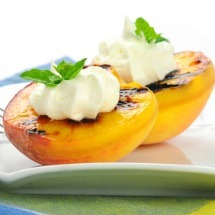 Peaches and plums taste spectacular when cooked on the grill. Cut each fruit in half and remove the pit. Mix together a couple tablespoons of brown sugar with a little bit of butter and heat in the microwave until melted. Stir the mixture and then coat your peaches with it. Place the peaches flat side down on an oiled grill and cook for 3 minutes. Turn them over and cook them until they are tender when pierced with a fork. Grilled asparagus is the perfect summertime veggie. You can use a marinade before grilling or just a drizzle of olive oil. 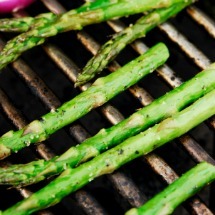 Place the asparagus stalks directly on the grill, perpendicular to the grates. Make sure there is room between the stalks so they get heat from all sides. Grill for 2 minutes, turn very carefully with tongs and grill another 2-3 minutes. 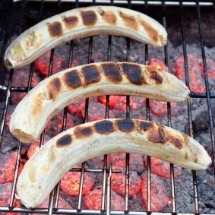 This summer, grill bananas. Peel some bananas and lay them right on the grill. Cook them until they are barely charred on the outside and soft in the middle. Serve them with warm caramel sauce. You can also cook a banana in its peel. Cut it length-wise, but not all the way through. Grill it open side down for 3 minutes. Turn it over and add chocolate chips and marshmallows, brown sugar and butter, or anything else you'd like into the slot. Then, grill for 5 more minutes. Kids -- and their parents -- will love this gooey grilled dessert. 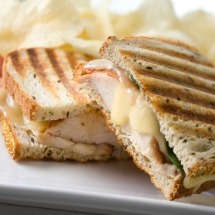 Put away your panini press and cook your kids' favorite grilled cheese outdoors on the grill! Use a thick bread, like Texas toast. Kids can stick to their favorite American cheese slices, while moms can make an adult version of grilled cheese with any type of cheese you like -- from Gouda to goat cheese and provolone to pepper Jack. Add some tomatoes, avocado and anything else you like inside. It only takes a couple minutes to make grilled cheese on your outdoor grill.